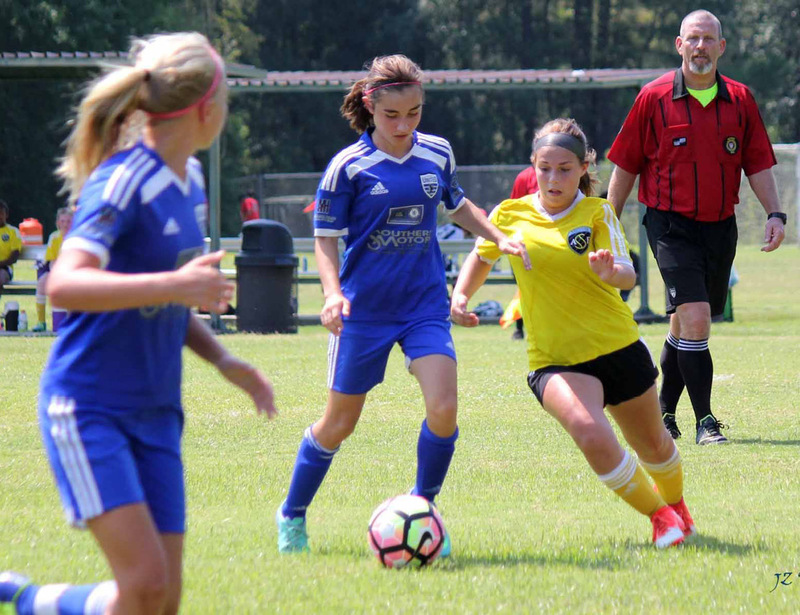 Sarah is a (L/R) winger and attacking midfielder for the Savannah United 02 Premier team, which recently earned RPL status. Sarah is extremely quick, with outstanding 1v1 abilities, and possessing phenomenal aerial control giving her an advantage against average players — and affording her time to combine with teammates Lloya Stevens and Emma Beddow (first and second leading scorers, Athena A Fall 2016). It isn’t surprising that one of her favorite USWNT members is Megan Rapinoe. “She can put the ball where she wants, and has a killer strike,” Sarah marvels.